The British Columbia Wine Authority (BCWA) is a regulatory body that administers the BC Wine Standard and the BC VQA Program. All licensed wineries may become a member of the BCWA and must pay all set fees and dues. 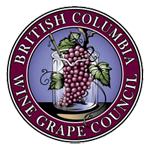 A licencee who becomes a member of the BCWA may submit wines for certification and should those wines qualify, they are able to use the appellation of “BC VQA” and use such terms as “British Columbia” or “Okanagan Valley”. To learn more about the BCWA and its place in the BC Wine Industry, please visit their website at www.bcvqa.ca. Wineries who’s wines that have been BC VQA certified may also utilize the BC VQA Wine Stores as a point of sale stream. For more information on BC VQA Wine Stores, please contact the BC Wine Institute or visit http://www.winebc.org/.